High net-worth (HNW) families in Ontario and their advisors will want to review the province’s new tax rate that takes effect July 1. Anyone whose taxable income exceeds $500,000 — 25,000 high-income earners or 0.4% of Ontario taxpayers — will see his or her tax rate go up by 2%. But concerns are mounting that the new tax, which was meant to boost Ontario’s lagging tax revenues and reduce the deficit, may have unintended consequences. The top 1% of Ontario taxpayers already provides 27% of Ontario’s income tax revenues. (The bottom 75% provides only 12% of Ontario’s tax revenues.) Yet, as of July 1, high-income earners will pay more. Once the 56% provincial surtax is applied to that 2%, the increase comes to 3.1 percentage points, boosting the combined federal/provincial tax rate to 49.5% from 46.4%. Half those amounts will apply in 2012, as the tax takes effect July 1. But a June 13 report by the C.D. Howe Institute, entitled Ontario’s Tax on the Rich: Grasping at Straw Men notes the tax may have unintended longer-term results. Although only a small percentage of Ontario taxpayers, writes the report’s author Alexandre Laurin, associate director of research, the targeted HNW families are very important to the personal tax system. If they were lost to other tax jurisdictions, all Ontario residents would feel the impact. And this is a definite possibility. Economic studies citied in the report note that taxes have a significant effect on behaviour. Given that skilled, high-income individuals are highly mobile, they can respond to higher taxation by moving to lower-taxed jurisdictions (provincial or international). In addition, HNW families can afford to work with professionals who can initiate more aggressive tax planning, and reduce tax loads by modifying the type and timing of compensation and sources of investment income. The chart below illustrates the difference a move can make; note the double-digit, after-tax return from eligible dividend income, for example, when compared to Alberta. Income modification can also reduce tax burdens. Source: Knowledge Bureau, Inc. All rights reserved. The numbers tell the story: effective tax planning can preserve wealth from this new tax. The C.D. Howe report estimates that, with proper planning, high-income earners will probably reduce their taxable income by about 2% in the short term and by more than 10% in the long run, as planning kicks in. These responses may affect federal tax revenues as well. Most significant, the report concludes, if high-income earners respond by reducing their labour supply and earning less over the longer term, this tax will be ineffective, putting our fragile economic recovery at risk and depleting tax treasuries rather than supplementing them. It’s Your Money. Your Life. Arranging your financial affairs within the framework of the law to pay the least taxes possible is your legal right and duty under the Income Tax Act. Astute tax and wealth advisors will want to work closely with their HNW clients to determine the right response to this new tax and thwart its eroding effect on their income and capital. The more effective the planning, the more wealth will be created and preserved, adding to future tax revenues and fighting the eroding effects of inflation and other unforeseen economic events. 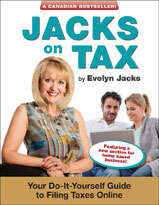 Evelyn Jacks is president of Knowledge Bureau, best-selling author of close to 50 tax and personal finance books and keynote speaker at the Distinguished Advisor Conference in Naples, Florida, Nov 11 to 14. Wondering where to make your next investment? You’re not alone. The current investment climate is stormy and that makes decision-making difficult. However, two important clues come from recent reports: first, taking a global view is critical in today’s environment and, second, debt management is key to positioning your investments for future growth. The G20 leaders meeting in Mexico recently confirmed that Greece should stay in the euro zone. But that doesn’t mean the euro zone crisis is resolved. The World Bank believes Europe’s struggle will continue as it shoulders its way through a prolonged financial crisis, dampening global growth. Nor will developing countries offer relief, as the World Bank warns that they, too, face a long period of financial market volatility and weaker growth. Against this reality, the World Bank has lowered its forecast for global growth in 2012 to 2.5%. IHS Global Insight, whose Country Intelligence report provides daily analysis of world events, shares the World Bank’s pessimism. It has downgraded the euro zone’s outlook to a recessionary -0.1% for 2013. Continued uncertainty on whether Greece stays in the euro zone, which analysts at HIS Global Insight doubt, extends concerns that the break-up of the euro zone could trigger yet another global financial crisis. The IHS Global Insight report, moreover, puts a strong emphasis on debt management. A good way to position for growth in this climate, it says, is to focus on building strong balance sheets. This is important advice for individual households, as well. In today’s fragile economic recovery, debt management is as important as choosing the right investments. It may well be that paying down potentially unmanageable debt is a smarter use of your money than investing in unpredictable markets. There is another important risk-management tool used to protect accumulated wealth that is not making the headlines today: tax efficiency. Taking a tax-efficient approach to investing — splitting income, using losses wisely, transferring assets to family members at the right time, managing tax on accrued gains — all can add significantly to the ultimate returns on your investments. So, if you are venturing into the marketplace, or considering ways to protect your wealth, position your investments properly for tax efficiency. That way, when the markets return to normal, your portfolio will be ready to reap after-tax results. It’s Your Money. Your Life. When making plans to grow your personal wealth, put as much focus on your debt-to-asset ratio as you do on your return on investment (ROI). Then, employ a tax-efficiency strategy to move forward in these stormy seas. Evelyn Jacks is president of Knowledge Bureau and founder of the Distinguished Advisor Conference, now in its ninth year. This annual event attracts hundreds of top advisors from across Canada to discuss recent trends in economics, tax, investment and retirement and estate planning. Midnight, June 15 is the deadline for individuals who own an unincorporated small business to file their income taxes. It is also the day that those who pay their income taxes on the quarterly instalment plan must make their second-quarter payment. Missing either of those deadlines could prove costly. • Filing the personal return for proprietorships. The tax-filing deadline is midnight April 30 for most taxpayers. The exception is unincorporated small-business owners and their spouses; for them it is June 15. But, and this is the catch, if you owe taxes when you do file, the interest begins accruing as of May 1. This is not inexpensive: interest costs are calculated at the prescribed rate, which is determined quarterly (currently 1%) plus 4% — for a total of 5% — compounding daily. 1. First failure to file a return on time: the penalty is 5% of unpaid taxes plus 1% a month up to a maximum of 12 months from the filing due date. 2. Subsequent failure to file on time within a three-year period warrants a penalty of 10% of unpaid taxes plus 2% a month to a maximum of 20 months from filing due date. Further, on assessment of your taxes, the Canada Revenue Agency (CRA) can apply a gross negligence penalty if there has been an omission of information, including failure to file a return. This amounts to 50% of taxes payable. So, filing an accurate return is important; take the time to disclose all sources of income and back up your income and your expenditures with orderly files in soft and/or hard copy. If the CRA suspects you are willfully evading taxes and the court agrees, the penalties are stiffer still. (Note the fate of the Desautels, a Saskatchewan couple convicted of tax evasion. They received both fines for 100% of the taxes evaded and jail time.) Tax evasion is the act of making false or deceptive statements in a return, certificate, statement or answer filed or made to the CRA in order to reduce or eliminate taxes or falsely claim refundable credits. Also, you can be guilty of this crime if you participate in destroying, altering, mutilating or otherwise disposing of records or books of account. If convicted of tax evasion, besides paying the taxes, you are liable for a fine of not less than 50% and not more than double the amount of the taxes that were sought to be evaded, and/or imprisonment for a term not exceeding two years. • Quarterly instalments. If you remit your income taxes quarterly, you must file your second instalment by midnight, June 15, to avoid interest penalties on the prepayment of your 2012 taxes due. The CRA usually sends a billing notice as a reminder. If your income picture will change in 2012 — especially if it decreases — you may not be required to pay the amount on your billing notice. Check with your tax advisor. You are required to remit taxes quarterly in 2012 if your net taxes owing are $3,000 or more in 2011 or in either 2010 or 2009 — except in Quebec. The limit for Quebec residents is $1,800, not $3,000. Farmers and fishers pay instalments only once on net self-employment income based on two-thirds of net income as of Dec. 31. It’s Your Money. Your Life. While interest and late-filing penalties may be avoided under the Taxpayer Relief Provisions in hardship cases — such as illness, death of a family member or other factors beyond your control — there is generally no leniency for tax delinquents or cheats. Do file on time to avoid expensive interest and penalties and reward yourself by investing the savings. Evelyn Jacks is president of Knowledge Bureau and founder of the Distinguished Advisor Conference, now in its ninth year. This annual event attracts hundreds of top advisors from across Canada to discuss recent trends in economics, tax, investment, retirement and estate planning. What are you taking in summer school this year? Whether you are a financial professional or a consumer of financial services, investing in your financial education is a good idea. After all, you should be prepared to deal with important life events such as financing an education, purchasing and/or selling a residence and selecting financial assets that will produce adequate retirement income. In the four years since the outbreak of the global financial crisis, it has become increasingly clear that the responsibility for financial well-being and decision-making resides with individual households. Crushing debt has tied governments’ hands, requiring a postponement to universal pension benefits and an increase in user fees. At the same time, uncertain economic conditions have forced both public and private sector employers to trim costs — including employee benefits. More than ever, it is up to you to take care of yourself and your family’s future: is your current level of financial ability ready for that challenge? If you feel incapable or unsure of grasping new concepts and turning them into meaningful strategies, actions and investment results for your family, you are not alone. We are all in uncharted waters. Global risks are greater; the financial recovery is fragile and market behaviour is unpredictable. But there is good news. There are tremendous opportunities to increase your understanding of the decisions you have to make through a variety of educational opportunities. This year’s Distinguished Advisor Conference (DAC), entitled “Navigation: Charting a New Course,” to be held in Naples, Florida, Nov. 11-14, is one example. In its ninth year, this conference was born out of the need to take Canadian advisors to the places where their clients will retire. That way the advisors can understand the economic environments in which clients will spend their life savings and together they can plan their savings to accommodate future health vulnerabilities. The DAC program focuses on cutting-edge issues — from taxes to retirement to global investment strategies — and gives delegates access to the most experienced and knowledgeable people in their respective areas of specialization. For example, on Nov. 12, Scott Mackenzie, president of Morningstar Canada, will explain how to improve portfolio construction in today’s self-reliant, highly technical world, while celebrated economist Patricia Croft will analyze equity markets and Terry Jenkins, executive vice president and head of U.S. Private Banking for BMO Harris Bank, will discuss the behaviour of high-net worth families in a fragile economy. Make no mistake, managing your accumulated wealth — particularly if you have accumulated sizable net worth over the course of your lifetime — is akin to managing a business. You need a strategic framework in which to set goals and budgets; you need financial knowledge and skills with which to make sound decisions. Abdicating your financial responsibilities — having no strategic framework around which to make consistent and informed decisions — is no longer an option for families of wealth, no matter how large or small the pot. That’s because, to a large degree, you are on your own. The right financial education can help you make those important decisions. It’s Your Money. Your Life. This summer, challenge yourself — consider adding knowledge and skills to your “intellectual capital” by taking a course, workshop or conference in a new financial discipline, be it tax, retirement, investment, estate planning, bookkeeping, wealth management. You will gain by making better financial decisions for your family and, if you are an advisor, those insights will spill over helping you improve results for your clients. Next week: What are the best ways to put your money to work? Evelyn Jacks is president of Knowledge Bureau and founder of the Distinguished Advisor Conference (DAC), now in its ninth year. This annual event attracts hundreds of top advisors from across Canada to discuss recent trends in economics, tax, investment, retirement and estate planning.